Need some summer project inspiration? Why not include some mini flip flops on your next project! 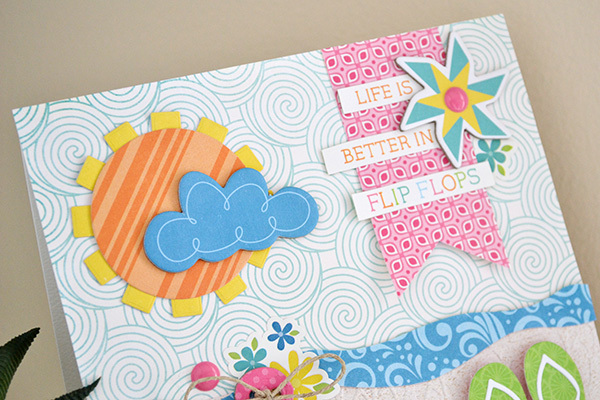 Echo Park Paper Co just released a new designer die set that includes some adorable little flip flop dies. Check out how I used them on this handmade summer card I created. When I look at these little guys my mind starts spinning with all kinds of project ideas--accents for summer party favor boxes, tags on summer birthday gift wrapping, embellishments on summer scrapbook pages. And wouldn't you agree with this card sentiment I cut from one of the journaling cards in the collection? Life really is better in flip flops, no? If you'd like a FREE PRINTABLE PDF file with full instructions and supplies for this summer project, visit the Echo Park Paper website HERE. So how about you? 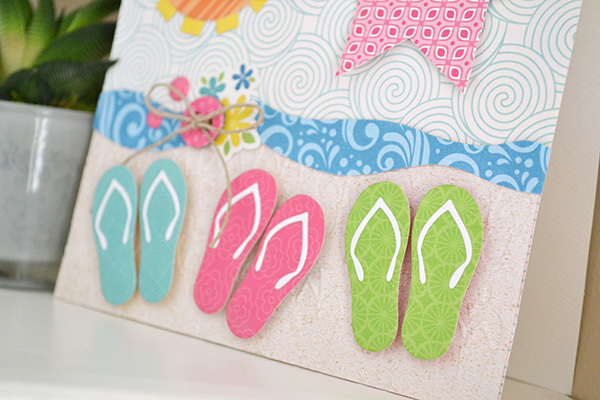 How would you use these adorable little flip flop dies?